Home Services businesses, this is for you! When it comes to hiring a business that will come into consumers’ homes or receive access to their house or car locks, what is the most important factor? According to Google, if a customer is letting you into their home, trust is of the utmost importance. Enter Google Home Services Ads (HSAs) and Google Advanced Verification, two new and varied approaches to paid advertising and local listings, respectively. What Are Google Home Services Ads? Unlike the traditional four paid advertising slots at the top of Google search results, HSAs are not for everyone. The term “Home Services” aims to identify the businesses that come into consumers’ homes. Who’s eligible for Google Home Services Ads? There are further requirements of businesses looking to advertise via HSAs. In addition to providing Google and its vendors (i.e. Pinkerton Consulting and Investigations, Inc.) with proof of licensure, bonding, insurance, etc., businesses looking to advertise with HSAs also must submit background checks for all employees who will serve customers in their homes. Note: The licenses required for each business are entirely dependent on industry. If your business’s workforce changes at all, you’ll need to provide updated background checks reflecting that change. Otherwise, you won't be eligible to continue using the HSA program. If an employee experiences a significant change that could alter the outcome of a previously completed check, background check updates will be required. And, even if no information changes, you must still provide updated background checks annually if you want to continue participating in HSAs. It is very important to note what HSAs are not. They are not local listings, and they aren't a replacement for paid ad space on the page. Home Services Ads currently appear above the traditional paid advertisements, which does limit the amount of top of page ads that will appear. Home Services Ads are not mandatory, as businesses can still opt to show their ads in the traditional paid advertising space. Placement in the HSA space depends on a few key factors, just as traditional paid advertising, though Google has made it known that reviews of the business carry significant weight. After all, HSAs were developed to provide consumers with pre-screened businesses they could trust. Disclaimer: HSAs are currently only available in Southern California, Sacramento, Stockton and the San Francisco Bay Area. What is Google’s Advanced Verification Process? Unlike verifying a business via postcard, Google’s Advanced Verification contains a stricter set of rules. 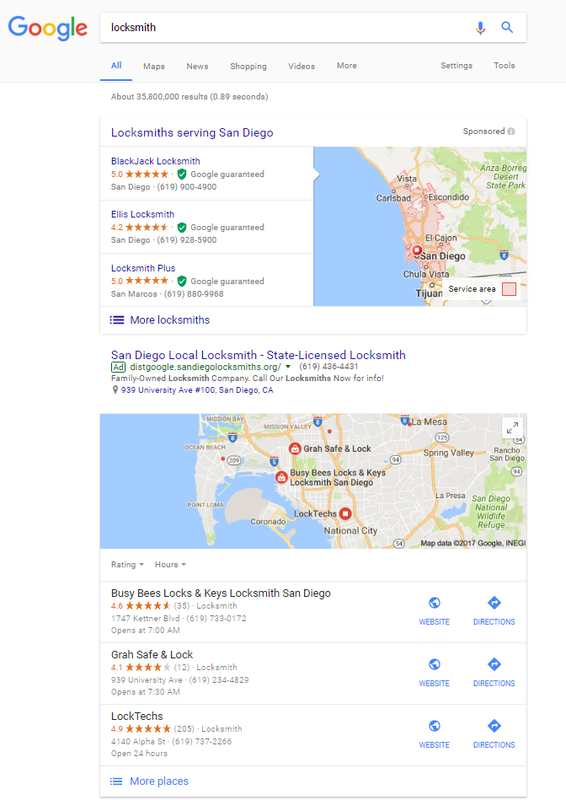 Currently, Advanced Verification is only required for plumbers and locksmiths serving San Diego and Los Angeles, California, and passing the Advanced Verification process is required in order for businesses in those areas to appear in local search results. In addition, the business may be subject to background checks performed by Pinkerton. While Advanced Verification is not the standard nationwide, Google seems to be expanding its efforts to combat fraud and abuse currently plaguing the locksmith and plumbing industries. What does this mean for your Home Services business? Home Services Ads are a new feature from Google and are currently being tested in major California cities. These ads are specifically intended for businesses that serve customers at the customer location. Home Services businesses must submit relevant business documentation and maintain current background checks of all service employees. No business is forced to take part in Home Services Ads, and you are still free to appear in local search listings and traditional paid advertising spaces. Advanced Verification is Google’s latest attempt to combat fraud and abuse in the emergency service industries of locksmiths and plumbers. The requirements for Advanced Verification include tax identification, business owner information, licenses, general business information and potentially background checks. While it's still in the testing phase in parts of California, Advanced Verification is mandatory for businesses looking to appear in local search results. 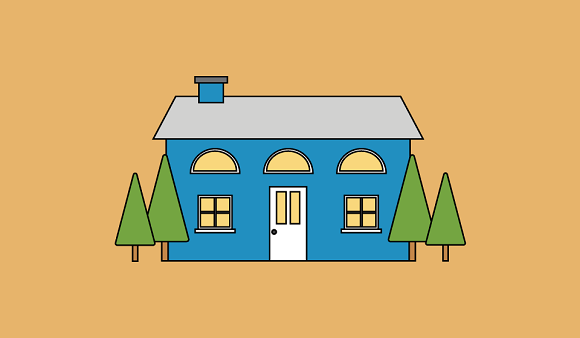 Since their first appearance in 2015, Home Services Ads have raised an important question: what does this mean for the visibility of Home Services businesses in local search results? The likely answer to this question is part of a lawsuit recently filed in Federal Court against Google, Microsoft and Yahoo!, alleging that the way the locksmith industry is managed on search engines sets up a system in which paid advertising is the only option to be found. With Home Services Ads pushing the organic local search map further down the page, business visibility may hinge upon a pay-to-play system. Need help with Google’s Home Services Ads or Advanced Verification? Contact your digital marketing strategist today! Gregory, great summary on a complicated issue. Keep us up to date & let us know if it's going to roll out across the US markets.